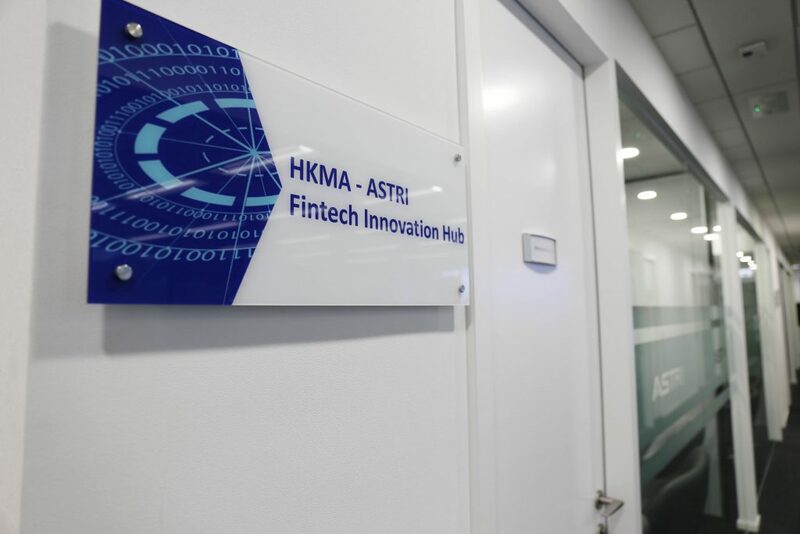 The Hong Kong Applied Science and Technology Research Institute (ASTRI) has collaborated with the Hong Kong Monetary Authority (HKMA) to establish the HKMA-ASTRI Fintech Innovation Hub (“the Hub”), a newly setup facility for supporting research and adoption of Fintech by the financial industry. 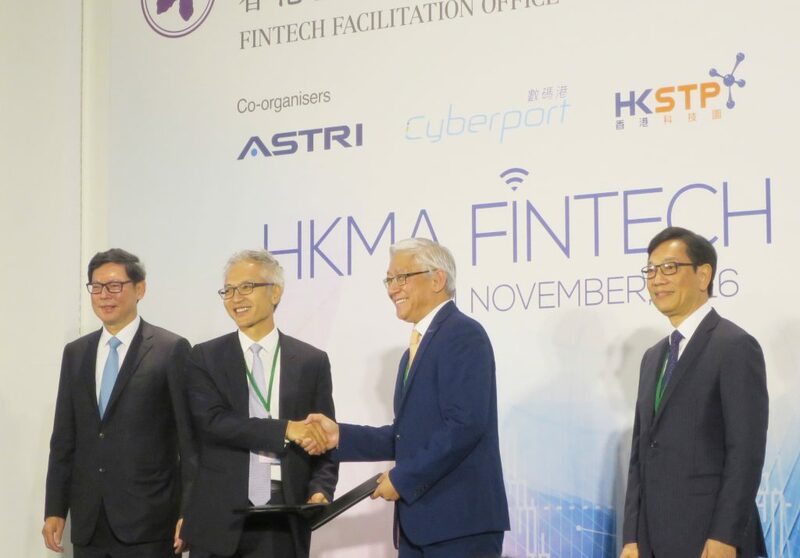 A Memorandum of Understanding (MoU) signing ceremony was held at the HKMA Fintech Day on 11 November, signifying the official establishment of HKMA-ASTRI Fintech Innovation Hub (“the Hub”). Dr. Frank Tong, Chief Executive Officer (CEO) of ASTRI signed the MoU, witnessed by Mr. Ming-yam Wong, BBS, JP, Chairman of the Board of Directors of ASTRI. The Hub is located at ASTRI’s office within the Hong Kong Science Park, with all necessary hardware and software IT infrastructure equipped and will be supported by ASTRI’s R&D teams. The Hub provides a physical space for various stakeholders such as banks, payment service providers, Fintech start-ups, HKMA, etc. to get together to brainstorm innovative ideas. It serves as a neutral testing ground for the industry to try out the new Fintech solutions and conduct proof-of-concept work that involve participation of multiple banks or parties before rolling out to the market. For instance, the use of blockchain or distributed ledger technology (DLT) in the cross-banks financial services. The Hub will help the industry to have a better understanding of the general applicability of pioneering solutions for banking and payment services at an early stage. It also enables the industry to develop innovative Fintech solutions more timely and efficiently in a more collaborative manner, thereby making a further step forward in fostering Hong Kong as a premier Fintech hub in the region. 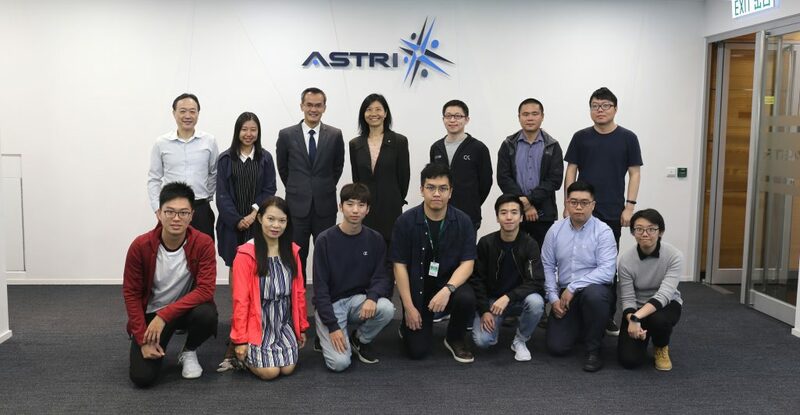 To support sustainable Fintech development and ecosystem in Hong Kong so as to maintain its status as a leading international financial centre, ASTRI has been devoting significant R&D efforts and resources to develop cutting-edge technologies with Fintech as one of the key R&D initiatives. In addition to collaborating with HKMA to set up the Hub, ASTRI has been commissioned by HKMA to publish a white paper on DLT which was released at the HKMA Fintech Day. The paper covers the initial research study of DLT and preliminary findings of the proof-of-concept work carried out on DLT applications. 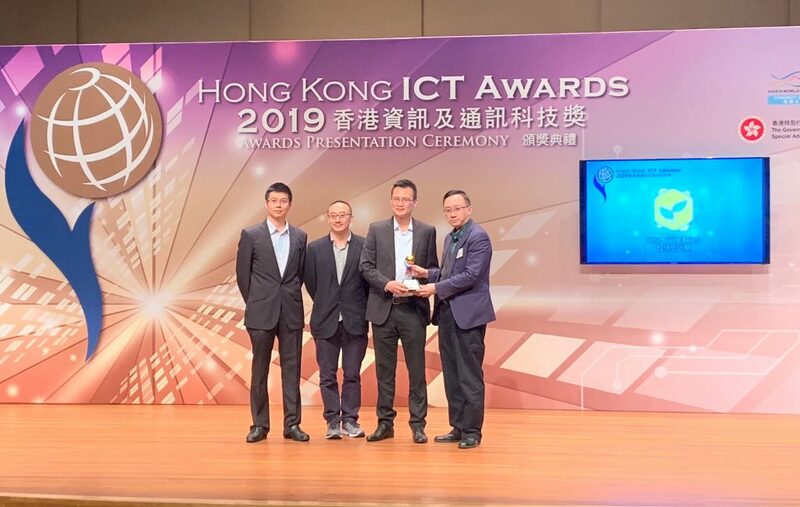 It provides useful insights to the industry players on how best to implement DLT in their businesses and facilitates the application of innovative technology in finical industry in Hong Kong. ASTRI will continue the research work of various DLT features. More detailed findings and recommendation will be reported in the next white paper, scheduled to be published next year. At the HKMA Fintech Day, Dr. Duncan Wong, Vice President (Financial Technologies) of ASTRI was invited to be the moderator of the panel discussion session to talk about the DLT whitepaper and the global development of blockchain technology with guest speakers from the industry such as R3, Nasdaq, Deloitte, Standard Chartered and HSBC. Dr. Wong also gave a live demonstration on one of the proof-of-concept work on DLT application deliberated in the white paper, i.e. property valuation blockchain system. He introduced the system to the audience and explained that it enables the sharing of property valuation reports among banks and surveyors which can tremendously simplify the laborious and time-consuming property valuation process, thus, reducing the operating cost. The system also comes with a dashboard for visualising the underlying blockchain and monitoring the property valuation status. The system will be adopted by Bank of China (Hong Kong) for home loans in their business and planned to be launched by the end of this year. The HKMA Fintech Day was one of the highlights of the Fintech Week presented by Invest HK. The event offered a valuable opportunity for all the stakeholders to get together to exchange ideas and meet up. 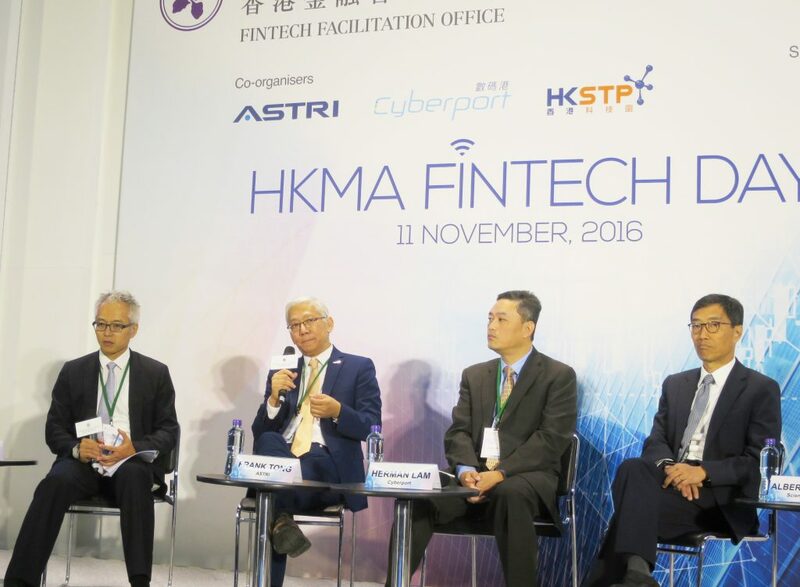 In the event, HKMA together with the event co-organisers including ASTRI, Cyberport, and Hong Kong Science Park shared their views on the future development of Fintech in Hong Kong. 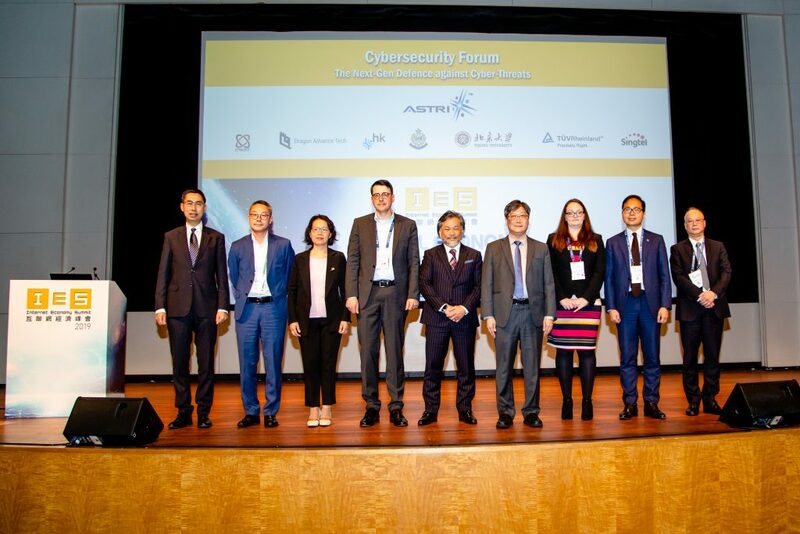 Dr. Frank Tong, CEO of ASTRI, was invited to participate in the panel discussion titled “Fintech collaboration – Future of Fintech Ecosystem in Hong Kong”. 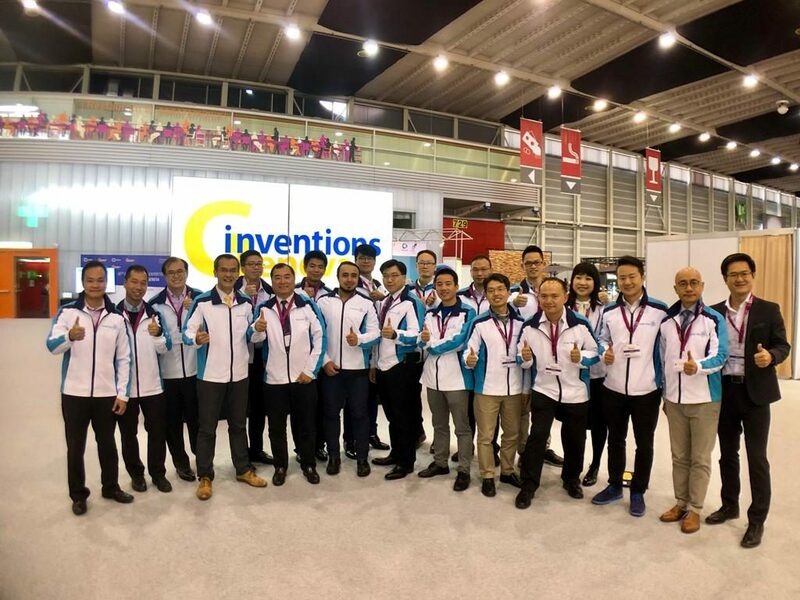 More than 500 delegates from the financial and Fintech industries attended. A MoU signing ceremony signifies the official establishment of HKMA-ASTRI Fintech Innovation Hub. From right: Mr. Ming-yam Wong, BBS, JP, Chairman of the Board of Directors of ASTRI, Dr. Frank Tong, CEO of ASTRI, Mr Howard Lee, Senior Executive Director of HKMA, and Mr. Norman T.L. Chan, GBS,JP, Chief Executive of HKMA. Dr. Frank Tong (2nd from left), CEO of ASTRI, speaks at the panel discussion. 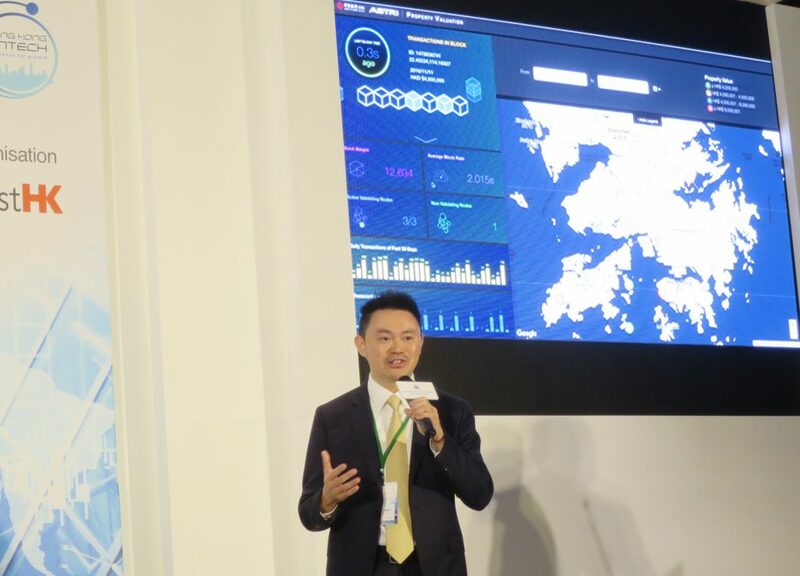 Dr. Duncan Wong, Vice President (Financial Technologies) of ASTRI gives a live demonstration on one of the proof-of-concept work on DLT application. Establishment of the HKMA-ASTRI Fintech Innovation Hub.